Cocktails O’Clock: I WANT SPIDERMAN!!! Spiderman has long been my favourite superhero. I grew up reading the kids comic-magazines, watching the 90’s cartoon (yeah the one where Spidey goes full mutant-spider). This is the first if my themed cocktail post’s and I wanted it to be special. To me the epitome of a superhero is Spiderman. He’s young when he first gets his powers and abuses them somewhat. However through various tragedies he learns the truth behind that famous marvel line “With great power comes great responsibility”. Some say that phrase has since been overused but to me it’s all about a boy becoming a man, a super-heroic man. Here in the UK we’re having a bit of a torrid time of things, that’s my opinion on it anyway. Whilst everyone loves the lovely skin-crisping heat the summer sun brings and given our position geographically, we tend to end up having a sweat-pouring muggy month or two. The best type of cocktail during summers like these is one pack with ice and flavour. Below is something that, prepared properly, will rock your Spidey-loving world! 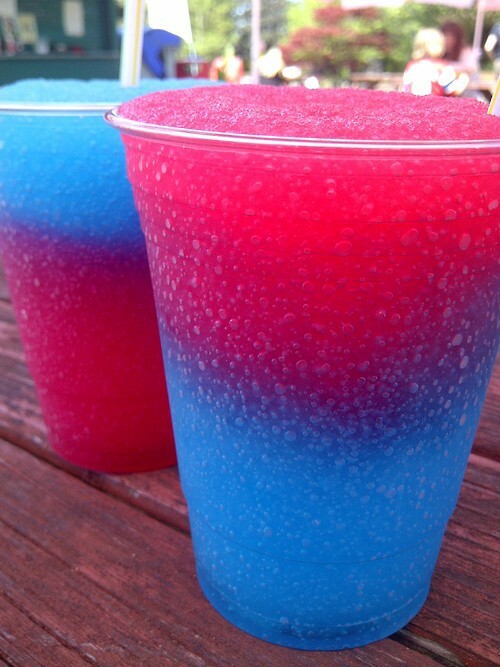 Combining alcohol with a child favourite: the slushy drink… Genius I believe! 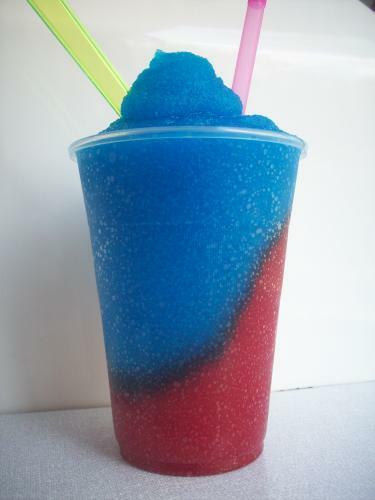 Blend the Tequila, Blue Curacao & Lime Juice with ice until the mixture is like a slush-drink. Pour this into a tall sling glass, filling it halfway. Blend the grenadine, vodka and rum together with ice until the mixture is like a slushy-drink. Top the sling glass up with the red mixture and garnish with a gummy spider and serve with a straw. The second half is red and the grenadine is the obvious colour additive here. This mix of Raspberry vodka and rum, combined with the grenadine adds a slightly fruity edge to the top of the drink. This cocktail, made from two halves, starts off fruity and sweet and is relatively easy on the throat. However the blue section hides the kick and as you progress through the drink you’ll start to taste the blue margarita more and more. This is no coincidence. The drink is built for you to drink from the top to the bottom. You can do the reverse, and the drink will get easier the more you drink – but where’s the fun in that!? Until next week, drink well but drink responsibly!! !